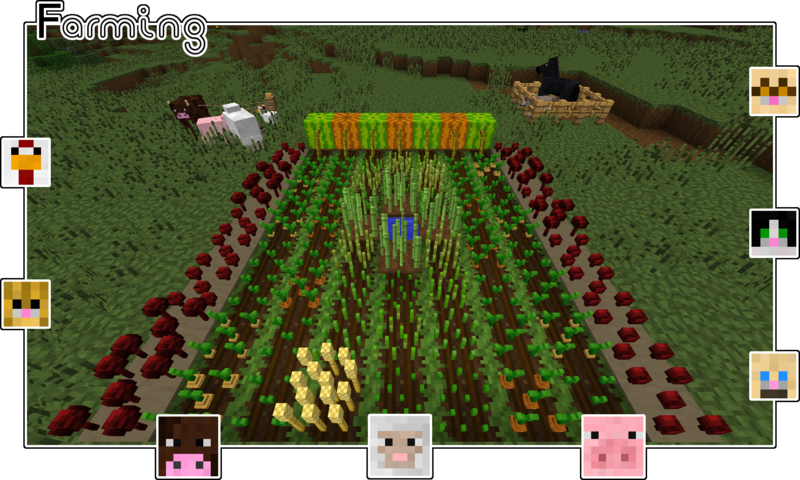 Since their release in the Minecraft v1.8 update, 3-D Resource Packs have been all the rage! Today, many resource packs are converting their creations into 3D models! 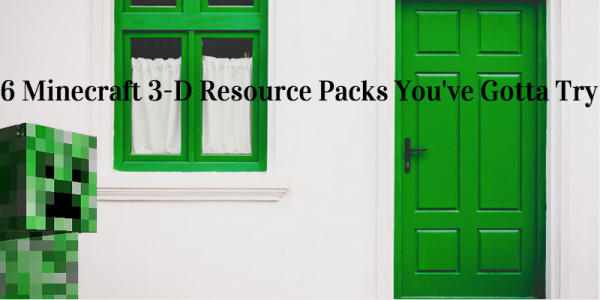 These 6 3-D Resource packs that are some of our favorite and we think you’re going to love them all as well! We fully recommend you try all 6! By the way, Packs with resolution higher than 16 x 16 may require the Optifine mod or MCPatcher tool to help bring out the pack’s full features. Otherwise, things may get kind of weird. Disclaimer: We do not own nor take credit for any of the packs listed below. All the credit goes to the amazing teams and individuals who spent their time and resources to get these wonderful packs created. 3D-Craft was a remake of the popular (but very incomplete!) resource pack called Parallax-craft. Imagine walking through a Minecraftia where everything is rendered in 3-D. That’s what this pack does when combined with the mod of the same name. We recommend also plugging in the SEUS v-10.1 shader pack. Talk about jaw-dropping visuals! You will be in for a treat! Zori’s Weapons is a texture overhaul to vanilla weapons. Unlike the other packs on the list, this pack online impacts weapons and leaves everything else untouched. But what it does with the weapons is awesome! Not only does it change the weapon models to 3-D, but it also makes them look like they came straight out of a different game. Some of these weapons even have built-in animation! The diamond sword, for example, looks like it was crafted with some sort of crazy super-human technology and it is awesome! Draglanor Pack is a bright and jolly pack with a great list of 3-D items and objects. It offers clean, cartoonish graphics with a dash of fantasy thrown in for good measure. The Draglanor Pack covers everything from Overworld to the End, and makes a hand-picked group of blocks 3-D. Many of these blocks are crops, making farms particularly lovely to look at. Wolion 3-D Standalone is a high-def, semi-realistic resource pack that utilizes 3-D renderings to give depth to nearly all Minecraft items. The pack itself has a bit of a rustic touch. It comes in 2 different resolutions (128×128 by 64×64) but both can really make the details look awesome! And as impressive as the textures themselves are, the new 3-D renders are even cooler. 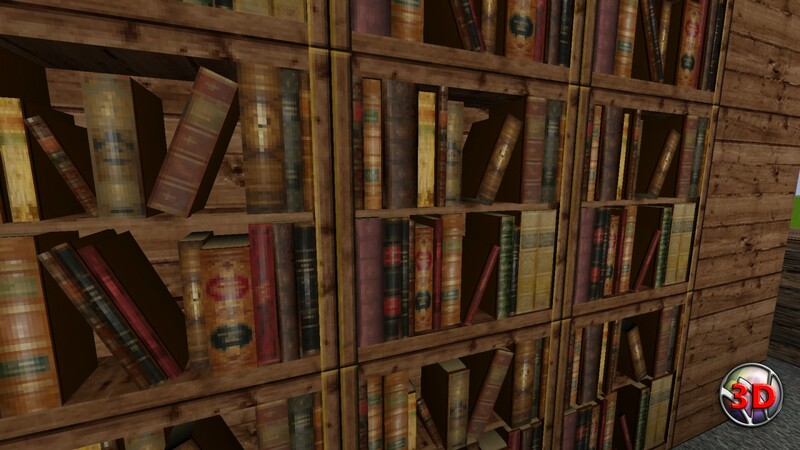 Notice the depth in the bookshelf pictured above for example. Just keep in mind that the increased texture detail may cause some frames to fail, so use with care! XDCobra’s 3D Realistic Resource Pack is a simple resource pack that turns almost everything in Minecraft’s default texture to 3-D. The pack is still a work in progress but it’s very usable as it is today. It contains the same texture as the vanilla one with added 3-D effects applied to most of them. This makes it a great replacement for a vanilla pack! This pack is similar to 3D-Craft, but seems to be simpler because it only adds layers to each block to give them depth. REX’ Pack is perfect for showcasing 3D objects and items…because it showcases them in space!! Rex’ Pack is a futuristic, space-themed resource pack that utilizes 3-D object renders to create a more customized look. The pack is still a work in progress but it’s already one of our absolute favorites! With over 400 custom textures, 30 animated items and blocks and even custom-made music for the space-themed atmosphere, you cannot go wrong! 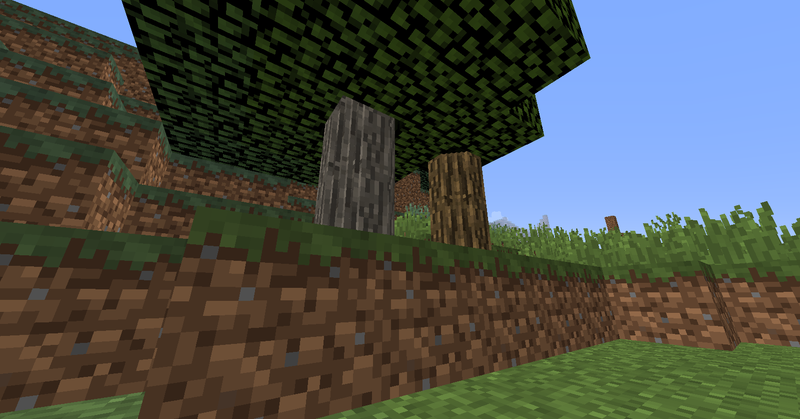 Just make sure to use Optifine or MCPatcher so that your custom textures render appropriately! When you host your very own lag-free Minecraft server with EnviousHost, customizing your game is no problem! Add all the mods and plugins you want, set up your server and blow your friends’ minds when you invite them to join! In addition to reliable hosting, you’ll also receive the industry’s best customer service and uptimes you won’t find anywhere else. 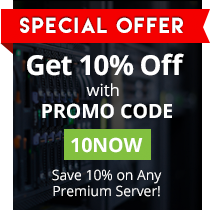 Don’t be fooled – our Minecraft hosting services are second to none! If you want to get more from your gameplay, you’ve gotta choose EnviousHost. #GameOn! Estamos feliz! Podemos ayudarte con tu servicio!